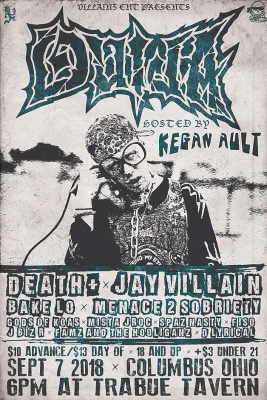 Radio420™: Ouija Macc with Jay Villain, Hosted by Kegan Ault Live in Columbus! 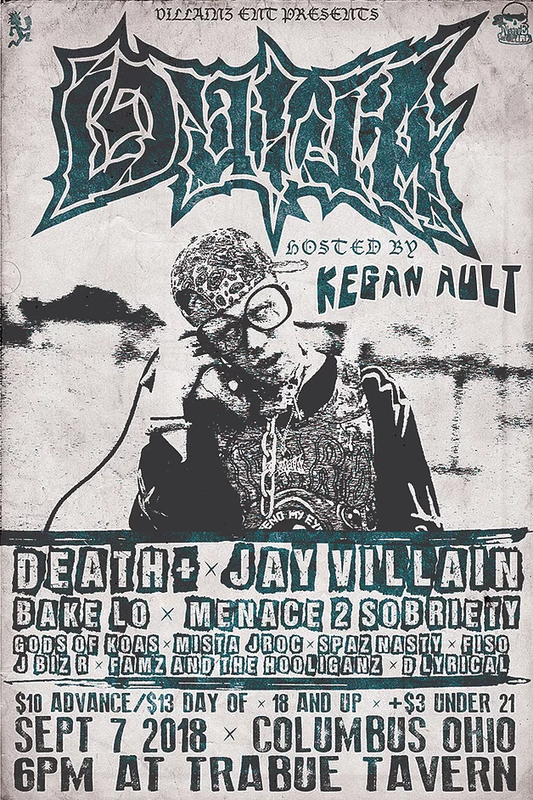 Ouija Macc with Jay Villain, Hosted by Kegan Ault Live in Columbus! September 7th, 2018, if you’re going to be in or around the Columbus Ohio area, and you’re a Juggalo, I have some dope news for you, my friend. Our homie Kegan Ault is putting on a show featuring Psychopathic Records very own Ouija Macc! It’s going down at the Trabue Tavern. Tickets are $10 in advance or $13 at the door. 18+. Also performing that night we got Jay The Villain, Bake Lo, Godz Of Kaos, D-Lyrical, SPAZ NAZTY , FISO, Dented Mindz Productions, FamZ and the HooliganZ, Menace ii Sobriety & jroc. Find out more info over at KeganAult.com or hit up the events page on Facebook HERE.